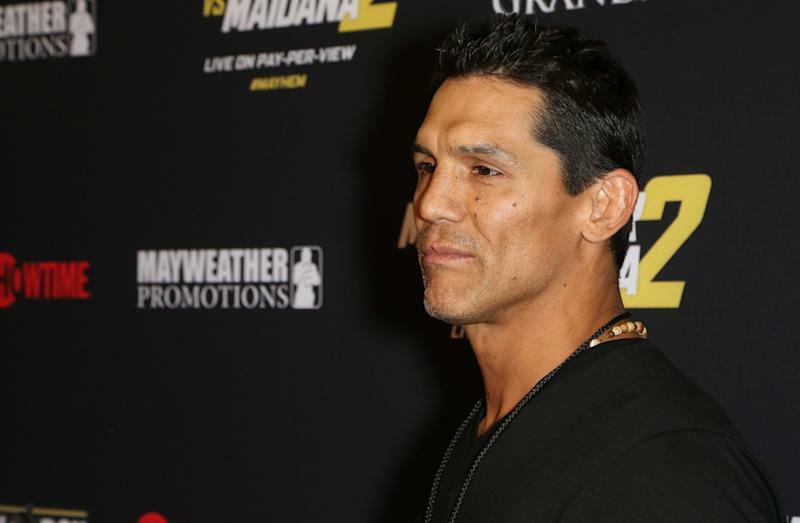 Former UFC fighter Frank Shamrock is under investigation by Dallas police after leaving a dog tied to a truck for five days, according to WFAA. Shamrock admitted he tied his mother’s dog, Zelda, to the back of his truck with food and water in Dallas, and then left to fly to California. The 46-year-old Shamrock told WFAA he would show up if charged by Dallas police. “They can charge me with whatever. I will show up. It is what it is. I'm not hiding in any way. It's an unfortunate and terrible thing. I'm an animal lover and I ran away crying,” Shamrock said. Shamrock attempted to get rid of two of his mother’s dogs in Dallas. He asked for help on Facebook on March 2, explaining his mother could no longer take care of the dogs. One of the dogs was taken in. Shamrock claims no shelter would take Zelda. In an attempt to defend his actions, Shamrock told WFAA that the dog is in a better situation now after being tied to the truck for days. "Here is what I guarantee," Shamrock said. "That dog is alive and safe right now and I couldn't guarantee that before I tied that dog to the truck and left." Per TMZ, Zelda is now being cared for by the SPCA of Texas and is expected to be put for adoption in the coming days. Police are determining whether to file charges against Shamrock.